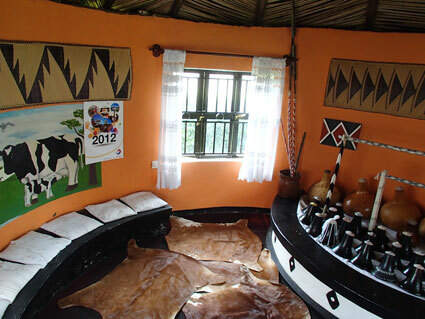 The Kajugira homestead is 3 hours from Kampala and 19 kilometres from Mbarara town on the Masaka Mbarara highway near Biharwe trading center and Igongo Cultural Center. The home sits on a beautiful hill and is visible from the main road. 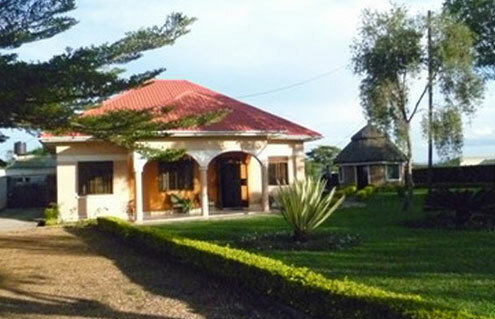 Nearby places of interest include Lake Mburo National Park, Rwenjeru Campsite, and other COBATI homesteads. Diana Kajugira is a prominent farmer who breeds and sells dairy cows and hybrid goats, grows perennial crops, and maintains a banana plantation. 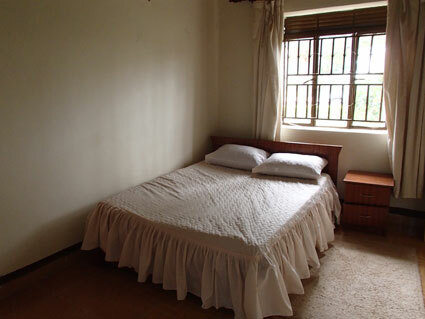 She is a very hospitable host with adult children who no longer live at home. Diana is a gifted traditional bead artisan; she makes beautiful beaded crafts and baskets associated with the Ankole long horned cow culture. Visitors can arrange a beading lesson inside Diana’s beautifully furnished craft hut. The family loves welcoming visitors to their home. 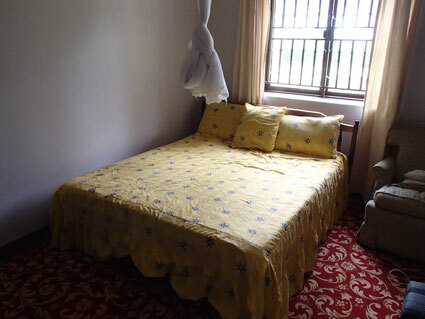 The main house has one guest bedroom. 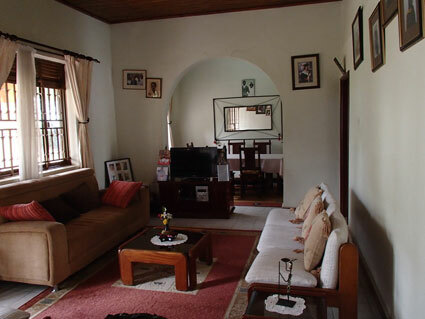 There is also a guest cottage with two bedrooms that share a common sitting area. Notes: The home does not have heat, air conditioning, phone, or Internet. Booking fee:There is a $20 per person booking fee.